I hand sell this book so often I was surprised to find it to be a good candidate for a current suggestion. The author has a new title out, The Summer Before the War, which is always a good reminder of the past reads I have enjoyed. 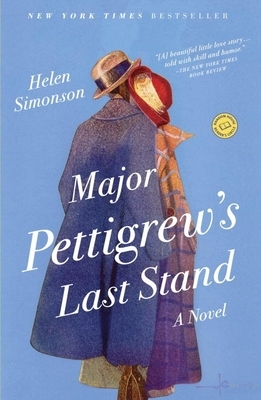 Major Pettigrew's friendship with a local shopkeeper comes under scrutiny from friends and family. Mrs. Ali is not of his social class, not of his faith or ethnic origin and the Major must certainly need the advice of his peers. This is a novel of manners and millennial realities. A kind and thoughtful approach to more than one kind of prejudice.